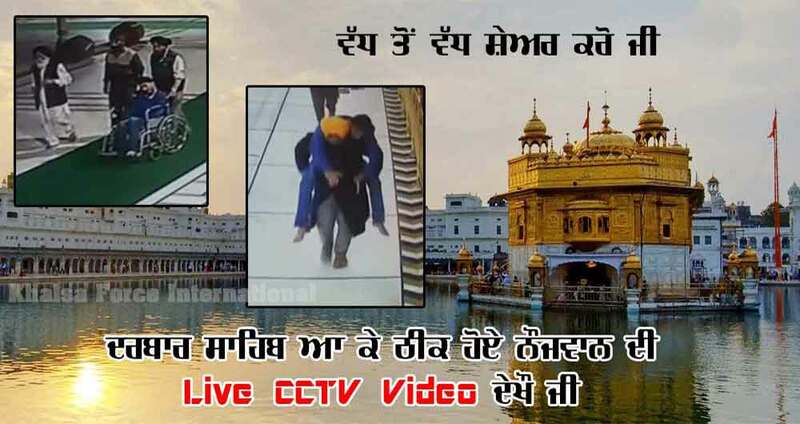 Miraculous story of a boy from Kashmir who experienced total recovery at Shri Harmandir Sahib left everyone in surprise. He went inside the Sacred sanctuary of Guru Ram Das ji on a wheelchair and came back standing on his own feet. Pilgrims at Sri Darbar Sahib witness a blessing a few nights ago when a Sikh youth from Kashmir who had arrived at Darbar Sahib with his family members began to walk and talk again. A few months ago the youth had suffered from paralysis in his legs and arms, and also left him unable to properly communicate. Then the family brought him to Darbar Sahib and carried him inside where they did Ardaas, and immediately the youth stood up and regained power in his arms and legs, and soon after began to talk. The family members and those accompanying the youth, and eye witnesses of the incident talk about what happened in this video.